Kindergarten is one of the easiest and funnest grade levels to teach and a good start for anyone new to home educating. Depending on where you live, Kindergarten may not be a requirement for your child. Even if it isn't, I believe this is the best time to practice and get ready for First Grade. 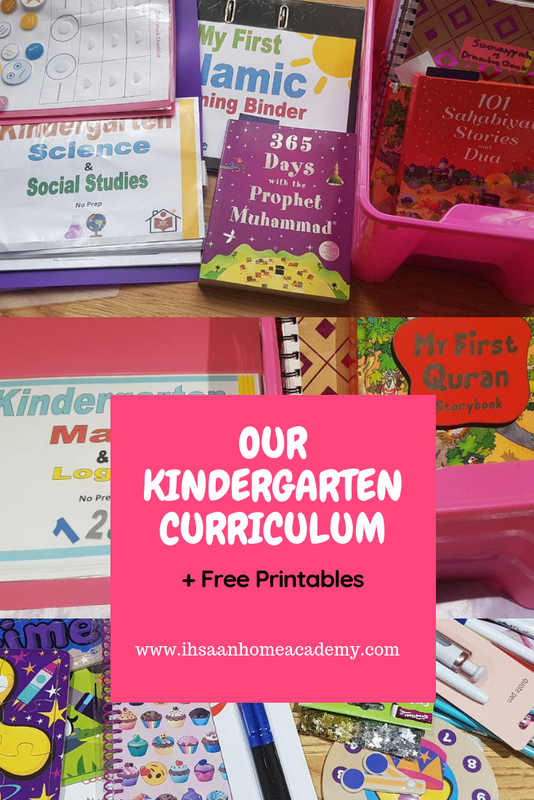 I've put together a simple curriculum that my daughter and I will be using throughout the year in shaa Allah. 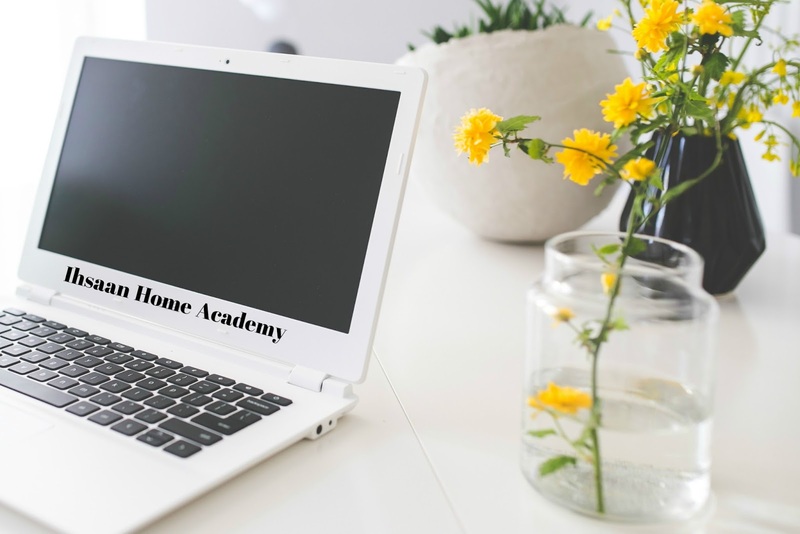 Before going through the curriculum, let me first outline some important aspects that may help you. As you can see, it's almost November, and it's now that I'm sharing our KG curriculum. That's because I don't have to follow the exact conventional school-year; neither do you. Unless there's an exception in your country or state, you can make your own school calendar. We plan on having 200 days of school even though the average conventional school covers about 180 days. Instead of having specific days that we must do school work, I went ahead and planned it by the number of days. What I mean is that we will have Day 1, Day 2, Day 3, etc. If we miss a day, we'd just catch up on the following day without stressing out. We'll check each day as we go in shaa Allah. After every four weeks of school, we'll have a week of break. That's the general plan, but there will also be times (i.e. Ramadhan) with more than a week of school break. We'll also leave room for change in our weekly schedule. At first, I wanted to have specific school days (i.e. Saturday to Wednesday), but I'm now leaning towards allowing varieties in case we want to do something new as a family, go out, spend quality time, etc. So some weeks, it may be Saturday to Wednesday, and other weeks, it may be different. As long as we put in the number of days in the week, that's all that'll matter. During preschool, it barely took us an hour to do everything. Now for Kindergarten, since we'll be doing a little more, the plan is to go for a maximum or 2.5 hours. If we do less, great, but definitely not more than 2.5 hours. And even during that time, my daughter will not be sitting the whole time. I may need her attention for a little while, but I wouldn't mind her jumping around if she chooses to do so at any given time. We'll be covering lots of subjects, but that's only because I categorized them in a way that makes it easy for me to check as we go along. It won't take my daughter long to go through them at all. 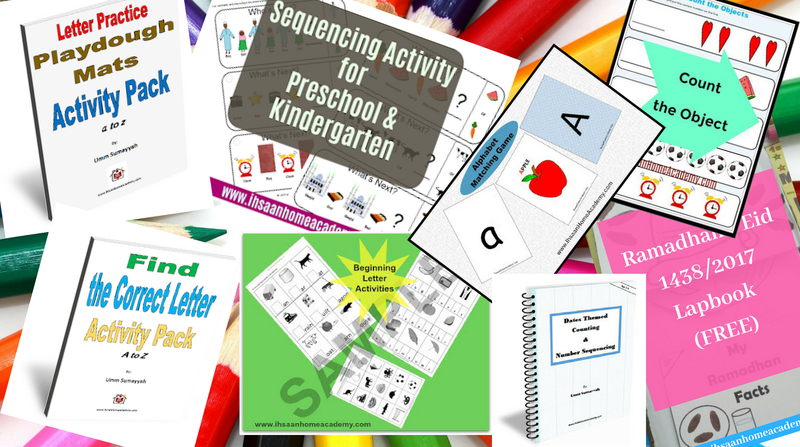 Preschool was full of hands-on activities, workbooks, reading, we took a break, changed the method of teaching, and tried different ways. My daughter had a lot of fun, which is the most important thing, but it did require a lot of work from my part. This year, I'm planning on making it simple, to the point, and effective in shaa Allah. Instead of the unit studies approach I previously wanted to go for, I've decided to leave that for another year. Kindergarten is the year where students are introduced to various concepts for general understanding. So, I've decided to cover the basics by making each individual curriculum along with read-out-loud. My daughter loves when I read to her, so she would definitely enjoy that part in shaa Allah. Now on to the curriculum. Qur'an: We'll go through Juz' 'Amma just for familiarization purpose, although, she does tend to memorize most of the time. We'll listen to the recitation, talk about the meaning, and repeat the same Surah as many times as we want. How many times we repeat always depends on how much she enjoys reciting the Surah. She usually finds some challenging, so we don't spend too much time on them, and go for the ones she loves better. Check out this post I made about how I teach my daughter the Qur'an. We used to go through any Surah from the Qur'an (long or short), but this year, we'll focus on Juz' 'Amma in shaa Allah. Click here to download the checklist printable. Nature Walk/Exercise: The plan is to go out to the garden every morning before starting 'school' or exercise at home. We've started the morning nature walks and it's been wonderful so for! What we do is observe, relax, enjoy, and appreciate the beautiful creation of Allah. 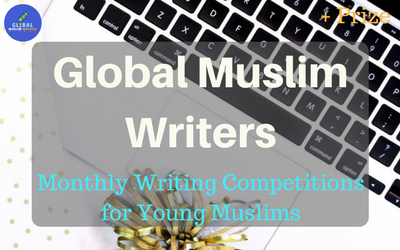 Stay tuned for a full description of what we do on an upcoming post in shaa Allah. 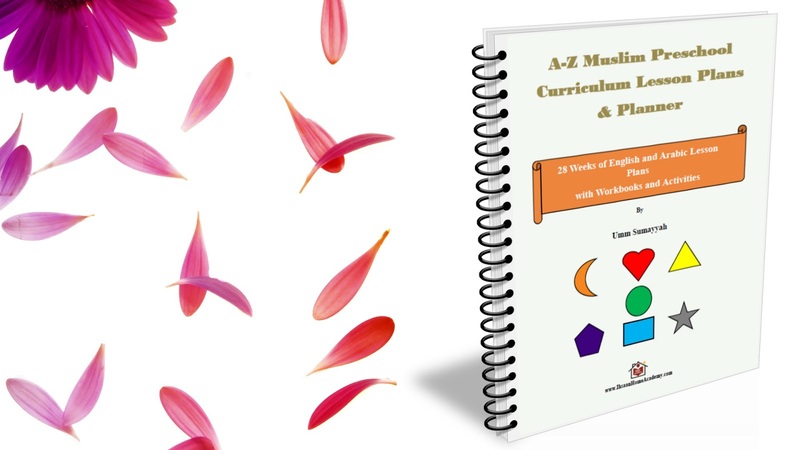 Language Arts: Check out the Language Arts curriculum I recently made. It requires no preparation from the educator except to download and put the pages in sheet protectors. It also doesn't require any writing from the student. Students would only need to use dry-erase markers to circle or trace the answers. Another option can be to select by using manipulatives. Math and Logic: Check out the Math and Logic curriculum here. It is similar to the above. 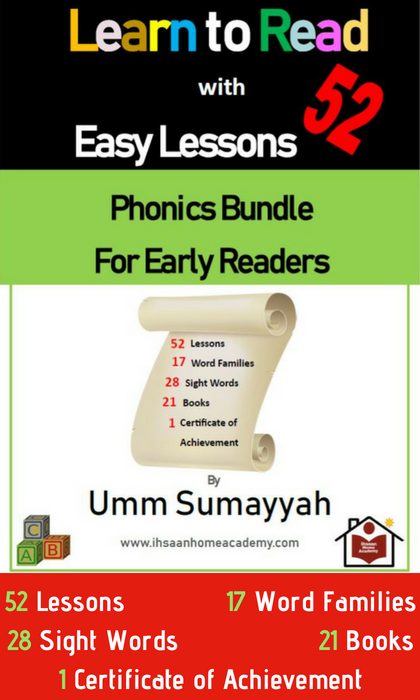 Phonics and Reading: Learn to Read with 52 Easy Lessons. Science and Social Studies: Check out the Science and Social Studies curriculum here. Health and Safety: Check out the Health and Safety curriculum here. Writing: Writing is not a big focus this year. But since my daughter loves pretending to write, I think it would be a good idea to make sure she learns at least the basics. So, I made a short writing curriculum that we'll cover this year. After that, I'll give her a notebook to write whatever she wants and date it to see her improvement over time. Click here to see the printable. 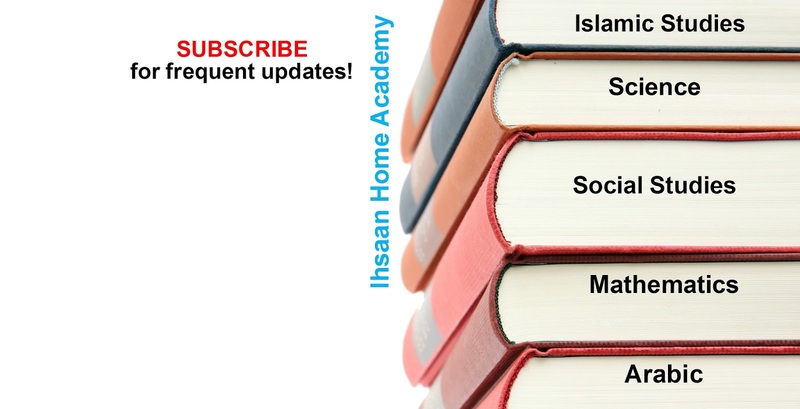 Islamic Studies: Although Islam will pretty much be part of our overall KG curriculum, there are some basic Islamic concepts that I would like us to go over as many times as possible. Check out My First Islamic Binder free printable. 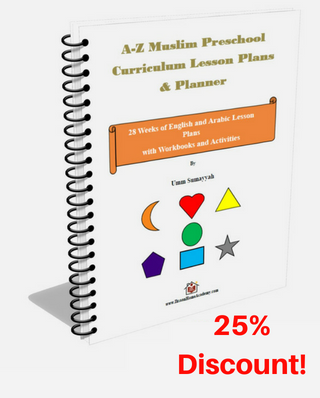 Arabic: Since I'm not a native speaker of Arabic, making or following a curriculum with basic concepts is the easiest way I can teach. The focus this year will be spoken Arabic only, not written. Check out Kindergarten Arabic Curriculum. Mandinka: We'll cover basic concepts. A this is my language, I think speaking directly to her would be more effective. But, I still plan on dedicating specific time to go through some things that I would have otherwise not think of teaching her. Read Out-Loud: The main books we'll be reading everyday are: 365 Days with the Prophet Muhammad (peace be upon him), My First Quran Storybook, 101 Sahabiyat Stories and Dua, Our Wonderful World by Emery Lewis Howe (a living and nature studies book, I'll replace some words that talk about 'God' as we read because it seems to have been written by a Christian), and any good geography book we find at the library that talks about people around the world. Arts and Crafts: This will only be drawing and craft-making. She loves drawing, so that may be what we'll do the most. For crafts, we'll just find random ones online as we go. They may or may not be related to the weekly lessons. Cooking and Baking: My daughter always tells me that she want to help me cook, but sadly, I'm most of the time in a hurry and not patient enough to cook with her. This year, I'll dedicate a day in the week to cook or bake something together, step by step, in shaa Allah. It could be something related to what we'd be studying or anything she wants to cook. I'll try to get inspiration from cooking books and Pinterest. As you can see, most of our learning will be in four days. The first will just be cooking or baking and her weekly outing (i.e. meet-ups, sports, etc). Planner: I made a weekly planner, a daily countdown, and a very simple weekly planner to record what we do each week. I also made an assessment sheet to record what's working and what we need to work on if needed. This isn't required especially this early on, but it helps me know if the plan I put in place is good for my daughter or if there needs to be a change. Remember, this is about the child and what works for him/her, not about coming to a conclusion of how "incapable" we think they may be. 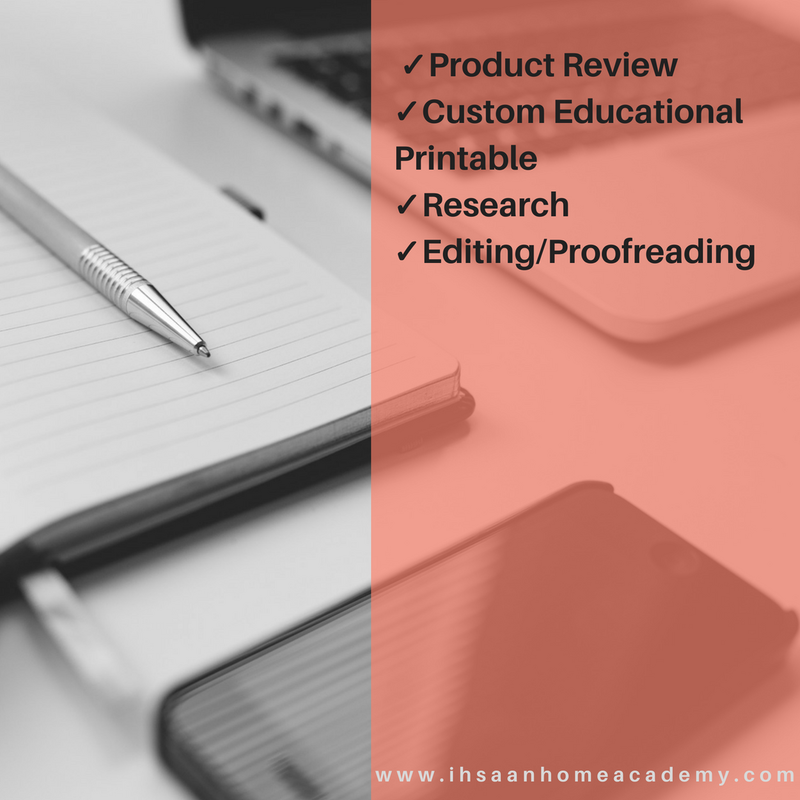 I hope this outline of our curriculum will be helpful to you and hopefully give you ideas on how to plan your homeschooling year in shaa Allah. If you know anyone it may benefit, please share it. I wish you all the best on your homeschooling journey. 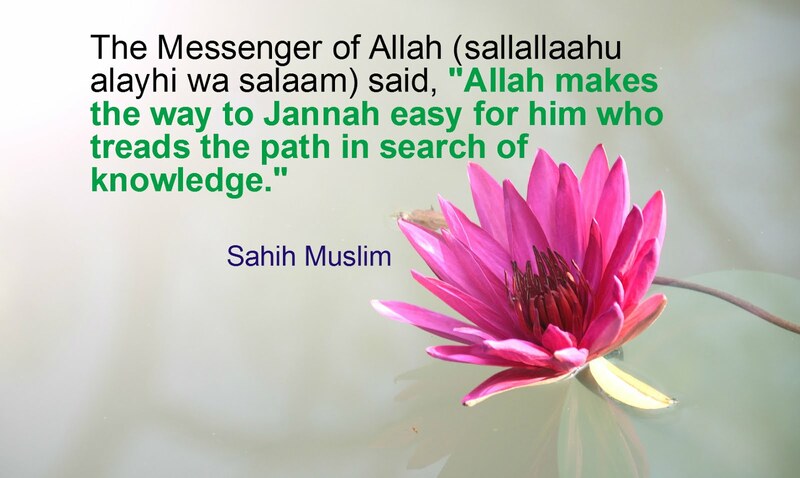 May Allah make us all successful. 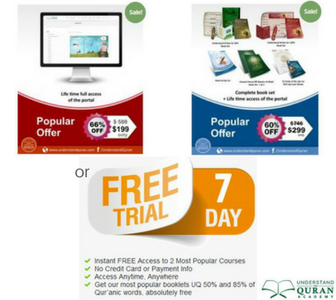 Some of the links may include affiliate links, check out my disclosure for more info. 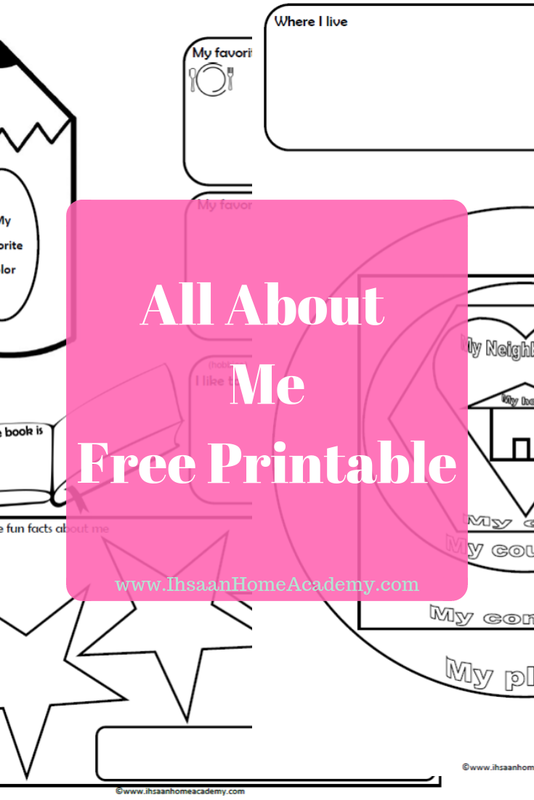 As we're starting Kindergarten soon in shaa Allah, the All about Me notebooking activity is what I'm planning on starting with my daughter in shaa Allah. This is an activity that can cover every subject while also helping students learn about themselves. It's very important for children to be aware of who they are, where they live, and where they come from. This activity is good for studying Geography, History, Math, and other subjects. It helps the child understand that a planet is bigger than a continent, a country is bigger than a city, and so forth. It is most suitable for children ages 4 to 8 (but can be used with any age).